(NaturalNews) With antibiotic resistant tuberculosis superbugs on the rise around the world, natural remedies are increasingly important to combat the spread of this serious disease. Consuming adequate levels of vitamin D is crucial not only for a healthy immune system, but also to trigger production of antimicrobial peptides that specifically inhibit the bacterium. As an inexpensive and extremely effective defense, this humble vitamin should play a leading role in everyone's daily diet. As revealed in the Natural News article, "Health experts warn untreatable tuberculosis threatens world," dangerous new strains of the tuberculosis bacterium (TB) are becoming alarmingly more prevalent. Modern medical intervention may prove to be completely worthless in the near future due to the fact that 30 percent of new tuberculosis cases are antibiotic resistant TB (MDR) varieties. But we don't have to hide in our homes and hope we won't be exposed. Instead, a measure of preventative action can keep families and communities safe. Once again, vitamin D offers protection against disease where mainstream medicine fails. In a study published by Science, researchers found vitamin D not only triggered a heightened immune response to Mycobacterium tuberculosis, but also supported an "induction of [the] antimicrobial peptide cathelicidin" which destroys the bacterium. Additionally, research in Indonesia discovered recovery was hastened by the use of vitamin D in those who were ill with the disease. 67 tuberculosis patients were evaluated for eight months at the Pulmonary Clinic of Cipto Mangunkusumo Hospital in Jakarta. Participants were given either vitamin D or a placebo in a random, double-blind trial during the sixth week of treatment. 100 percent of those who received vitamin D showed significant improvement compared to 76.7 percent of the placebo group. "A role for vitamin D in combating tuberculosis gives a rational basis for sunshine therapy, which was widely practiced for patients in sanatoriums before chemotherapy became available, as vitamin D is synthesized in the skin when exposed to the sun. Patients were put out on their beds to lie in the sun in summer and winter, and many were sent to Switzerland and other sunny countries for treatment." With antibiotics progressively unsuccessful in preventing and treating tuberculosis, it seems as though we have come full circle. 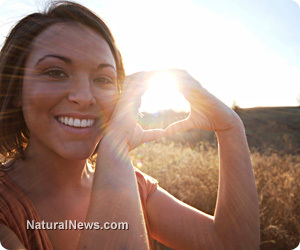 The traditional use of vitamin D may soon surpass the limitations of conventional medicine. As an economical and powerful nutrient, vitamin D proves to be an outstanding ally against the very real dangers of this life-threatening disease.